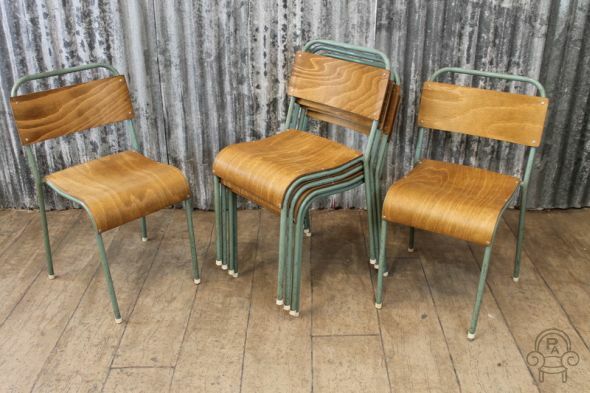 Ideal for any domestic or commercial dining space, these vintage plywood chairs are both practical and stylish. 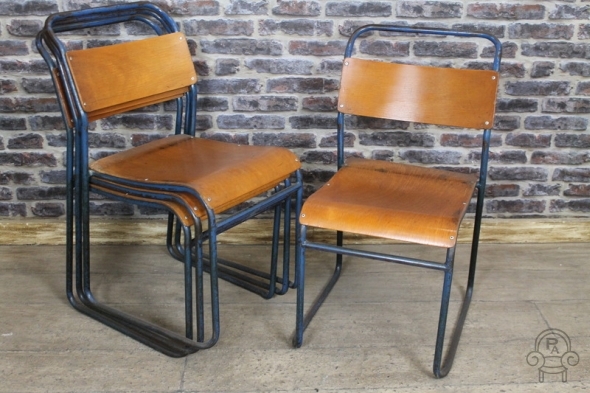 These chairs have lots of character and would be a great way to add a touch of industrial styling to a retro or contemporary themed interior. 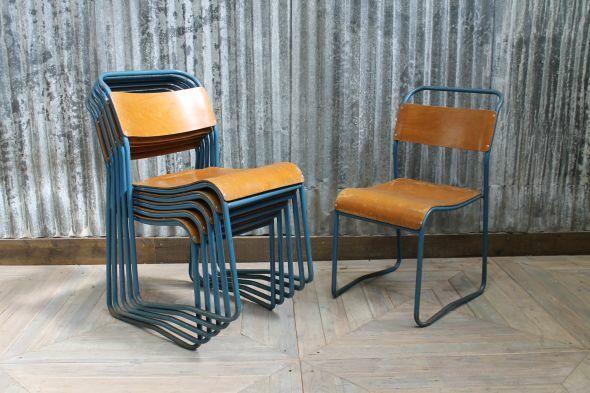 Great for those with limited space, the chairs can be easily stacked for storage, making them perfect for restaurants, bars, pubs or as extra seating for parties. 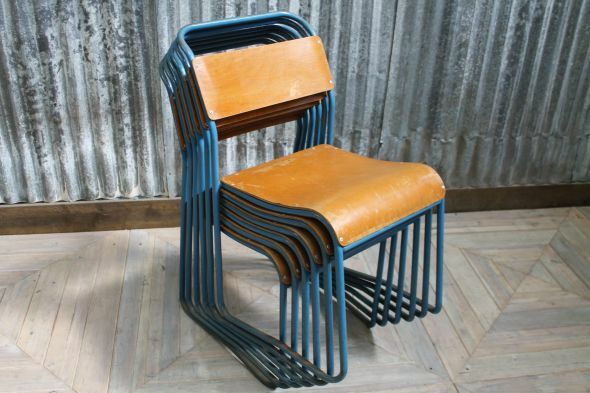 We have a massive collection of stacking chairs in a number of styles and different colours. 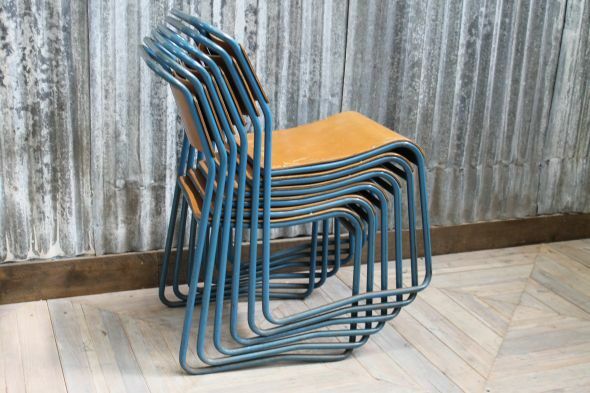 Contact us if you would like any more information, or visit our showroom to browse the full range. 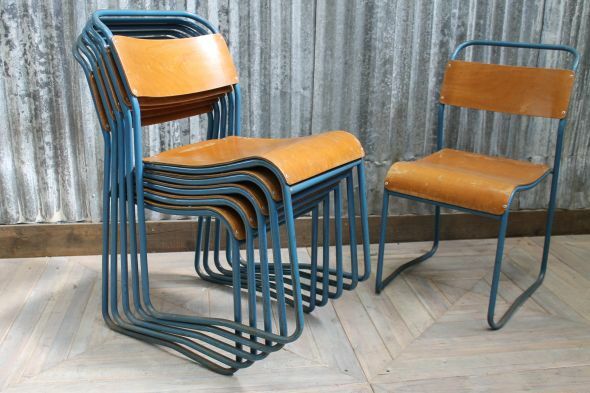 This particular model features a worn, blue paint finish to the metal frame and a plywood seat and back. 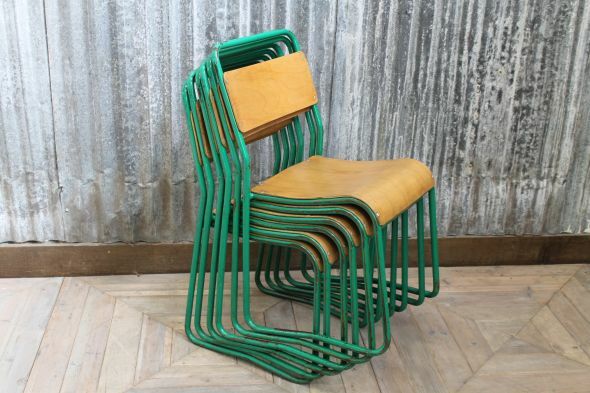 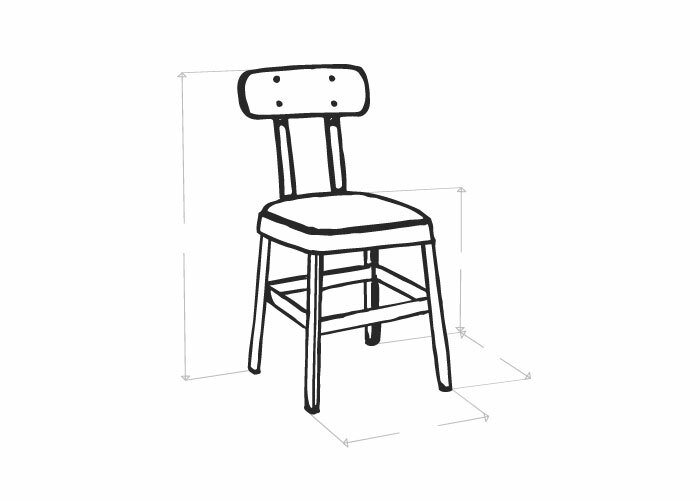 The price is for one of our vintage plywood chairs, but we do have more available.